TiVo's upcoming Apple TV app will limit streaming to 720p at 30 frames per second and won't support native MPEG-2 broadcasts or 5.1 surround sound, it has been revealed. During CES, TiVo announced it would release an app for Apple TV in the third quarter of this year that would allow TiVo users to stream live and recorded content to other televisions without incurring additional cost. However, users hoping to enjoy TiVo content on their Apple TV at the same level of audio and visual quality are in for disappointment. The admission was made in a TechHive interview with Ted Malone, TiVo's vice president of consumer products and services. Malone said the TiVo hardware can technically support higher-quality streams, but not without dialing back some other capabilities, such as streaming to TiVo Mini Vox boxes. As it stands, TiVo users who want to view live programming and DVR content on additional televisions have to resort to a TiVo Mini. 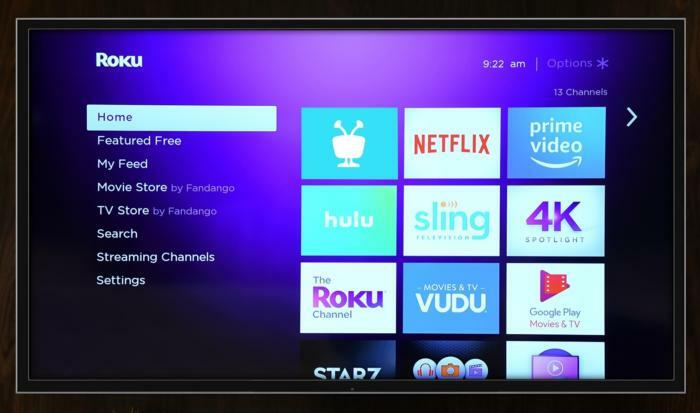 The first-party Mini costs $180 but includes support for high-quality streaming, which means it will remain the best solution for expanding the availability of TiVo content to multiple rooms. This is a joke for such an established company. Silicondust, a much smaller company can do this and Tivo can’t?!?? What the heck!? Not even the fullHD in 4K era where 8K is on the way? Nope, thank you. Because of my wife’s desire to record shows and play them back later I was interested in this app. Was. Download the recording on my Mac with cTivo, and then play on AppleTV in its original format, with 5.1 sound on the AppleTV via Infuse Pro. Most cable/satellite/OTA systems have just caught up to 1080P. OTA MIGHT have the cheapest path to upgrade to 4 or 8k but most of those are local area companies who don’t have either big budgets or big revenue streams. Cable will require a lot of hardware upgrades and replacements all through their network and Satellite needs new satellites launched and receivers to customers distributed without disrupting current service. Really, Internet and OTA have a possible advantage here but since it requires a company to look way way way beyond just the next quarter to see profits I think they will also be dragging their feet to implement a cost effective (for the customer) system. This is exactly it. When the industry switched to HD in the mid to late-aughts, it still took a while for everyone to get on board. 4K equipment is being deployed but very slowly as the cost is still too high. This doesn't even take into account post-production on a 4K shoot. We're spending double to triple on storage and conversion than we were a few years ago, which is really prohibitive on the ever tightening budgets of most networks. Aside from the equipment to shoot & edit in 4K, most NOCs (Network Operating Centers) don't have the ability to broadcast in 4K and would require an overhaul of the entire system, which again, people aren't going to do since the investment to HD is still being amortized. 4K files are incredibly large and current cable or OTA system are incapable of sending files that large on a regular basis. Small anecdote: I was working on a show in 2011 and we were still recording to tape. We were starting to record to digital media but only as a back up as it was still failing a lot, so mostly, it was a test. But the 2011 tsunami in Japan destroyed the Sony factory that made the tape most used. We were forced to move to digital recording out of necessity, not desire. Digital media became a lot more reliable after that, again, out of necessity since tape costs were outrageous at this time since it was so scarce. It helped in getting everyone to make the big leap to HD though. Well damn, that is NOT what i wanted to hear... I would be willing to pay a small monthly fee if they would stream in higher quality and allow full features. Say 5 dollars a month, because that for me is cheaper than having a second tivo box in my bedroom. 1080p is not a broadcast standard. 720p is. Half of all TV programs TIVO is designed to record is 720p, and the other half is 1080i, not even full HD, either. Other than OTA broadcast, most cable and satellite signals are so compressed the MPEG-2 signal is hardly optimal, and many other streaming codecs are better in many ways. I'm not sure why this is a problem.